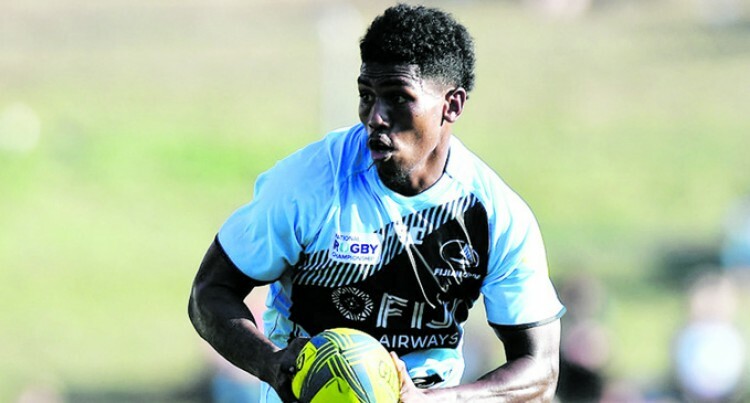 The Fiji Rugby Union media team spoke briefly with an extremely humble and excited Fiji Airways Flying Fijian, Frank Lomani as he prepares in camp with the Barbarians ahead of their test against Argentina XV at Twickenham Stadium, London this Saturday 1st November (UK time). The following are his response to a range of questions, please feel free to incorporate them into a story reflective of this honour bestowed on our young emerging half back. When did you find out about being selected into the Barbarians team? During the Uruguay week in Gloucester, John McKee called me in and advised that Rassie Erasmus (Coach of the Barbarians for this series) had emailed him to see if I was available because he wanted me to play. On being selected in the Match Day 23. I couldn’t believe that of all of the half-backs in the world, I don’t know why the South African coach chose me, I just can’t believe it. To play in this team has always been a dream, what is amazing, is that in Gloucester, the night before I found out, I was talking to my room mate (Semi Kunatani) and I told him it was my dream to play in this team where all the legends play. I always wanted to play amongst all the legends of the game. Then the very next morning when John (McKee) called me in to tell me, it was like a dream came true, to happen on the very same day, I couldn’t believe it. I’m just a local boy without a professional contract, there are heaps of boys here that could’ve played and I am just happy to be here and have this experience. But now to be included in the Match 23 is huge honour and I just can’t wait to be on the field and hit the ground running. What is it like to be around some of those players. Like I said it’s a dream come true. I look around and there is all of these great players, some of the brothers from the Melbourne Rebels and there is (Captain) Wyatt Crockett who has played over 100 caps for the All Blacks and 200 caps for Super Rugby. I just can’t believe it. It’s amazing how quickly we have gelled together. We got to the first training session and it was like we’ve all been playing together for 10 years. Everyone is so friendly and the bonding has happened really quickly. What is Rassie Erasmus the coach like? He is a very humble, quiet guy who is really good at getting around the guys and sharing stories with them. He has told us to enjoy this experience because we never know when in our lifetime it will happen again so make sure we enjoy every minute of being together. You will get to play at Twickenham.. It has always been a dream to play at Twickenham and now this weekend I will get to run out on to the field there and I know I’m going to take the moment and I just want to hit the ground running. Tell us about the France game. How about that match, it was so special. We could tell how happy John was after the match by how he went around to the whole team to shake their hands and embrace them. It was a good day. That week and on that game day there was a different feeling over the whole group. Before the game in the warm up there’s this feeling that comes when you sense you’re going to play well, there was no anxious feelings or butterflies, just calm. It was because of our preparation, it is true in the week of the game we had a world class lead up, our training was so accurate and we prepared really well. Everything comes down to preparation and when you prepare well, those are the type of things you can achieve. There are a lot of big clubs offering me opportunities, which is very humbling, but I’ve said to my Manager that I’m not quite ready yet. After this Barbarians game I need to come home to my family and spend some time with them, to refresh and make the best decisions, I’ve been away for 2 months and haven’t taken a rest for nearly 2 years. I know they would like me to stay until February, but for now, I want to come home to my family and spend some time with them first, even if it’s just a week or two.